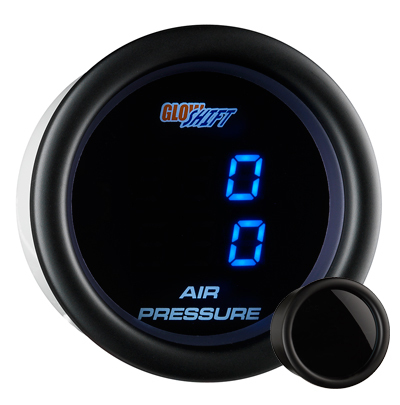 The Black Digital Tinted Dual Air Suspension Gauge features two separate blue digital air pressure readings allowing you keep a close eye on your changing air bag suspension conditions and the tinted lens gives this gauges a low profile look when your vehicle’s power is off. 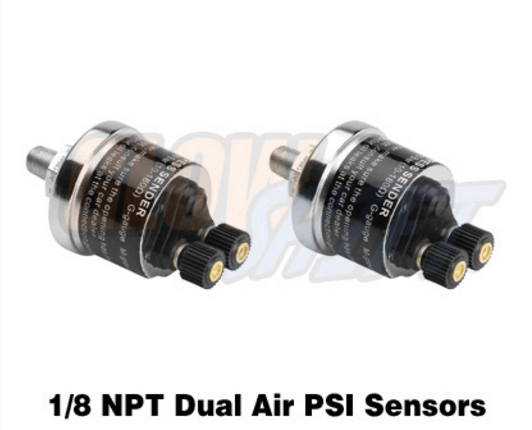 This gauge eliminates the need to run an air hose directly to the back of the gauge by utilizing electronic sensors, cutting down on your installation time. This gauge also features a magnified lens and a blue digital readout allowing the pressure values to be easily read, as well as the tinted lens that gives your gauge a low profile look when your vehicle’s power is off . This gauge not only features a blue digital readout, but also has a trim ring that matches our Black Digital Gauge Series assuring all of your vehicle’s gauges are a perfect match.